With the resetabble element the need for replacement glass is negated as the unit may be reset using the key provided. The test key is inserted into the front of the unit in order to allow access wherever it is sited. The user can test the call point with the test key or by depressing the element. 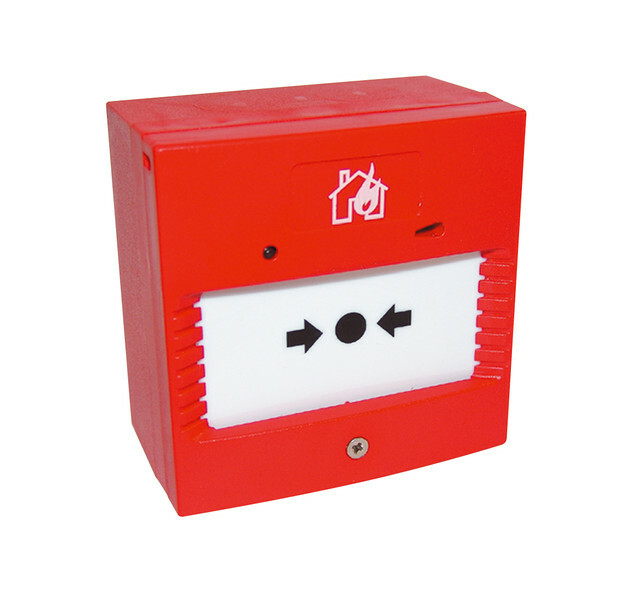 Every Twinflex call point comes with an LED for indication of End of Line and Alarm. There is no need to remove the front cover and the glass at installation; just one screw connects the whole unit. The back box can be fitted at the time of installtion with other first fix items. The call point unit can simply be installed later. An adaptor plate is also supplied, for use with standard flush or surface back boxes. 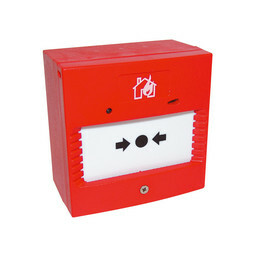 The manual call point is connected to the back box using simple flying lead terminations.